ROCON offers an overall concept for substation system automation at “Bay Level”, “Station Level” and “Control Center Level”. RPC 116 is an embedded unit, which could be used at station level (substation, photovoltaic power plants, wind parks, TPP, etc) as well as at control (dispatch center) level. It is appropriate solution both as a central device of a SAS and as local or remote peripheral device (data node or gateway). 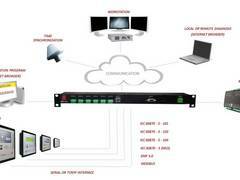 It supports a wide range of different interfaces and protocols for local and remote communication. RPC 116 can be implemented seamlessly into an existing SCADA-system via many different third-party protocols and into various network topology due to its full compatibility with IEC standards. In addition, the device allows implementation of companies’ communication protocols and so it provides interoperability with practically every IED producer. The device could be further extended by adding one or more I/O peripheral modules –RTB-1 and RTB-2 type. 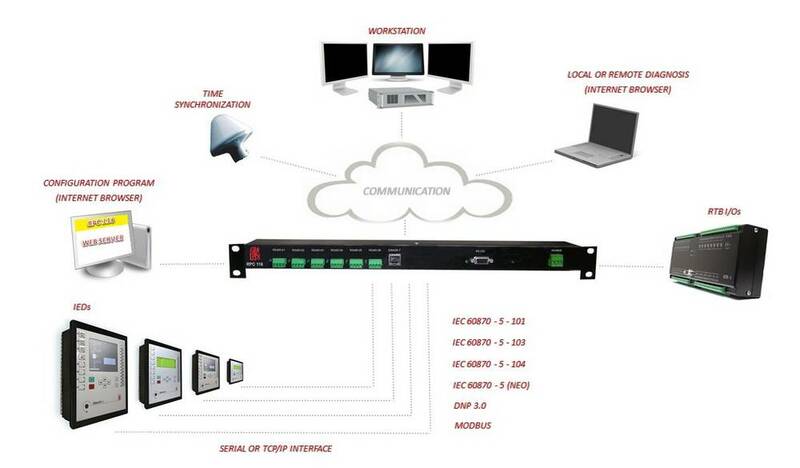 RPC 116 has modern HMI that can be accessed via network communication. The needed PC software for HMI access is just a standard web browser. Allows dynamic expansion both in volume and functions during the entire life cycle. Communication protocols for connection to IEDs and SCADA-systems: IEC 61850, IEC 60870-5-104, IEC 60870-5-103, MODBUS RTU, MODBUS TCP/IP, DNP 3.0. Internal HTTP Server for data display, configuration alteration, administration and diagnostics. Note: All flyers are subject to regular update.